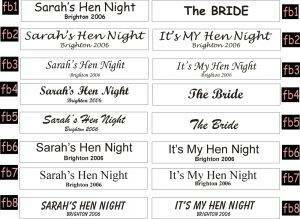 Our Personalised Printed Sashes can be printed on the back or on the front – it really depends on what you want to achieve with the sash. The sashes linked on this page are where the text is displayed on the back of the sash only. Whatever your requirement then we can help with a quick delivery at a good price. Next day delivery is an option if ordered before our cut-off time. We only use the top quality ribbon and always carry a large stock of the ribbon – especially in the most popular colours. 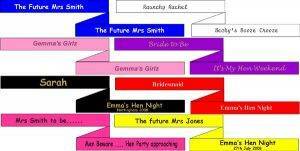 Depending on the colour of the ribbon chosen then we have a selection of different coloured font text colours that can be used. The sash is wide enough at 4 inches to accommodate two lines of print, although in most cases we would recommend that if require text on 2 lines that you have one main line in relatively large text and then have the second line underneath in a smaller text size. 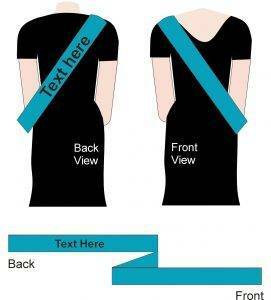 We do not have a minimum order for our custom printed sashes. 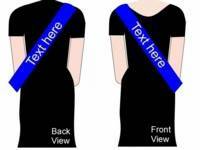 The text on the sashes can be added in several different colours. The pastel colours are best suited to light coloured ribbon and are not recommended for the darker coloured ribbon. For this darker ribbon we would recommend our metallic silver or metallic gold foil. We also show a selection of typical fonts – serif, sans serif, brush . 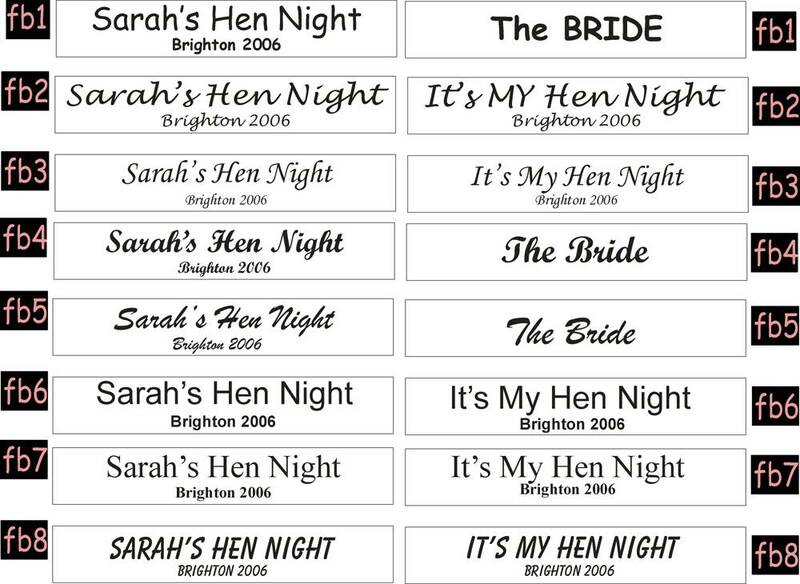 If you have a specific font requirement then please let us know when yoiu order.